Evil Genius Sports Performance: EvilGSP Book Review! 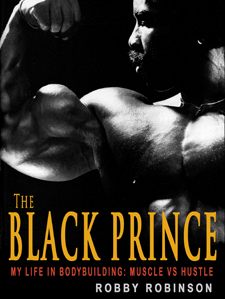 When I heard Robby had written a book on his life in bodybuilding I immediately put it on my must read list! I have met and talked with Robby many times and he has never failed to impress with his knowledge, experience and honesty! As I expected Muscle vs Hustle is a MUST READ for any bodybuilding enthusiast! Robby's life in body building borders on the unbelievable!